If you love cooking meals for yourself and your family, you probably want a kitchen with a few of the same bells and whistles as those of professional chefs. You see, the way professionals kitchens are designed help chefs do their jobs quickly and with precision. If you’ve been thinking about investing in contemporary kitchen remodeling, here are some of the ways you can streamline your kitchen. Chefs are able to work quickly because their kitchens are designed so that they won’t have to move around in the first place. Your kitchen needs to be set up so that movement is reduced during preparation. Everything that is often-used needs to be within an arm’s reach. Restaurant kitchens have a separate prep area, cooking station and dishwashing station. While your home kitchen is not as big as a commercial one, you can also have a layout that divides it into mini stations. This will let you move with more flow. Speaking of flow, your kitchen design should follow the triangle concept. This triangle connects the range or stove, sink and fridge. Anything that you don’t use for cooking, such as glasses and serving platters, needs to be outside the triangle. It’s difficult to feel like a pro when you always find yourself rummaging through cabinets and drawers for items and ingredients that you need. The key to having everything at your fingertips is proper organization and labeling. Easy-to-clean surfaces and tools are important elements in professional kitchens. When choosing a countertop material, consider if it stains easily. Stainless steel and quartz don’t stain. Ceramic tiles are easy to wipe down and are heatproof, so they’re great as a backsplash near the range. With easy-to-clean surfaces and tools, cleaning will be a breeze. Want to finally get that dream kitchen? Let DreamMaker Bath & Kitchen of Livonia turn your vision into reality! 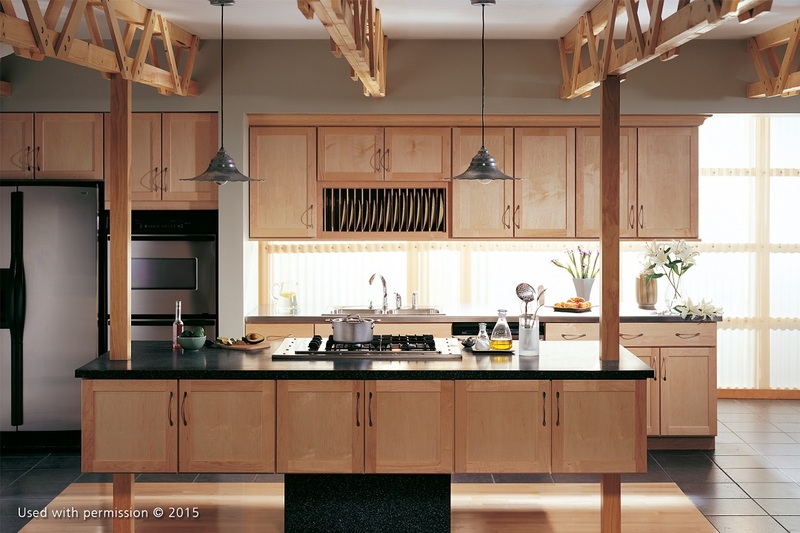 Call us today at (734) 390-9191 to schedule a consultation so we can talk about kitchen remodeling pricing and your various options.